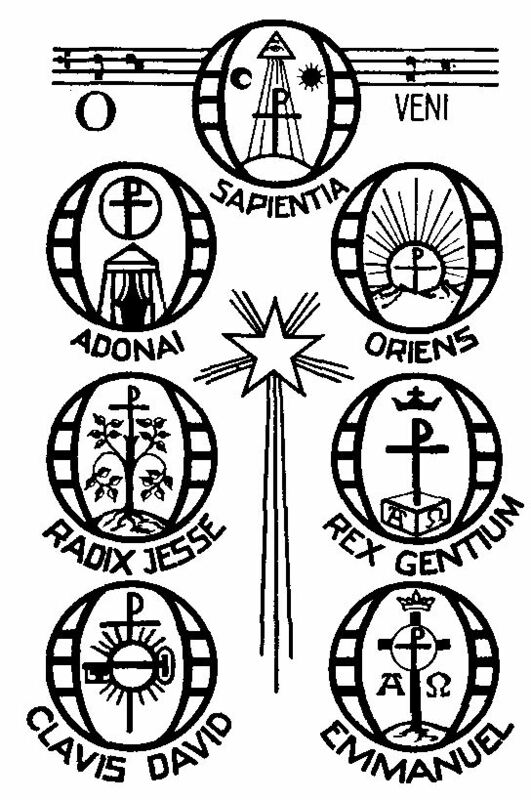 THE "O ANTIPHONS" are known from the Roman Breviary as the Antiphonæ majores, "greater antiphons". They come from Old Testament bible passages of Isaiah. 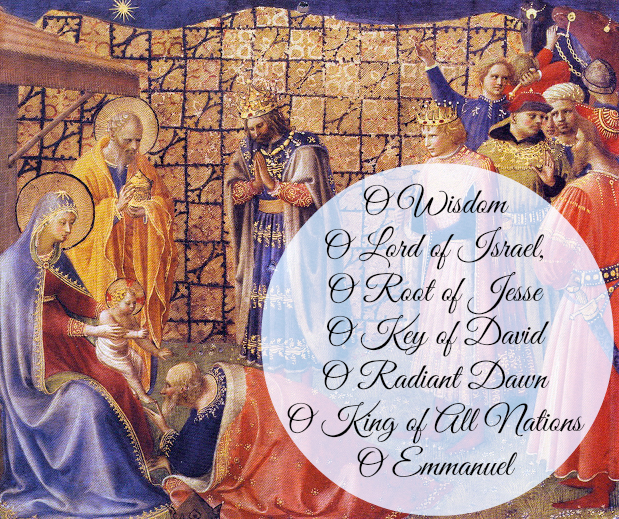 The seven verses are sung or recited before the Magnificat prayer in the ferial Office of the seven days preceeding the vigil of Christmas; so called because all begin with the interjection "O". Boethius (c. 480-524) made reference to them, thereby suggesting their presence at that time. A paraphrase of some of these is found in the hymn. "Veni, veni, Emmanuel" . 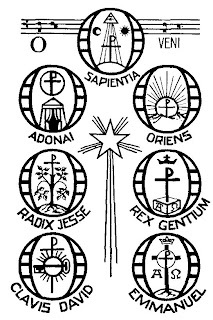 If one starts with the last title and takes the first letter of each one - Emmanuel, Rex, Oriens, Clavis, Radix, Adonai, Sapientia - the Latin words ero cras are formed, meaning, “Tomorrow, I will come.” These antiphons are prayers that can help us prepare for the coming of Jesus in Advent.